Justin Rowe focuses his practice on preparing for and trying cases. He has experience defending clients in premises liability actions, automobile accidents, construction accidents, inadequate security and security breach cases, product liability and toxic tort litigation. Mr. Rowe has tried multiple cases in the city venues of New York, including actions involving premises liability, animal liability and Labor Law claims. He has taken verdicts involving serious injury claims, including severe burns, fractures requiring multiple surgeries, amputations, scarring, and traumatic brain injuries. Mr. Rowe practices in all state courts in the five boroughs of New York City and on Long Island and Westchester. 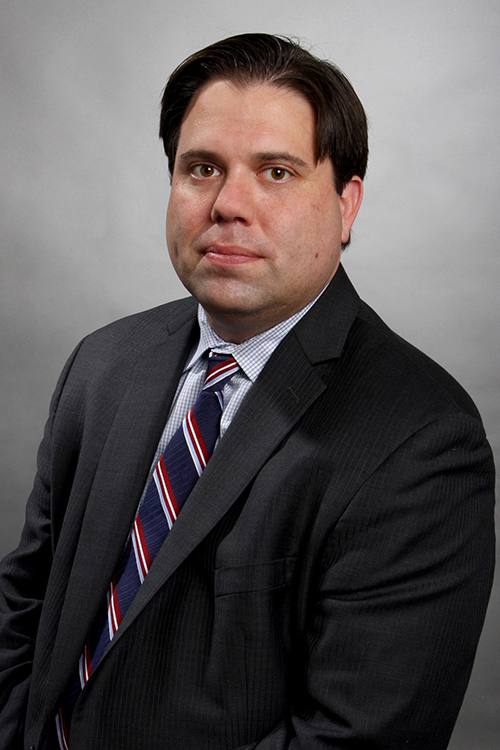 He also practices in Federal Court in the Eastern and Southern Districts of New York. During his time at St. John’s University School of Law, Mr. Rowe earned a place on the Dean’s List and the Moot Court Honor Society. He also wrote for the American Bankruptcy Institute Law Review and served as the publication’s Articles and Notes Editor. Mr. Rowe was admitted to the New York State Bar in 2006. He was also admitted to the U.S. District Court Southern District of New York in 2006 and the U.S. District Court Eastern District of New York in 2007. In 2012, he was admitted to the U.S. District of Connecticut. CUNY Baruch College Zicklin School of Business, New York, New York, 2011, M.B.A.
St. John’s University School of Law, Jamaica, New York, 2005, J.D. Emory University, Atlanta, Georgia, 2001, B.A.